Thank you for all the reviews! 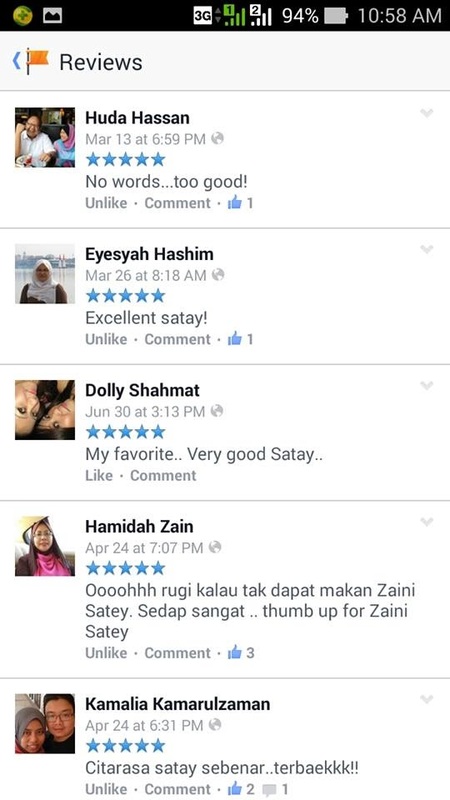 Keep supporting us to serve you the best satay in Malaysia! Terlebih dahulu penulis memohon maaf kepada peminat Sate Kajang. Sebelum ini penulis sudah banyak kali makan Sate Kajang. Dahulu tidak dinafikan bahawa Sate Kajang ini di antara yang tersedap yang pernah penulis makan. Tetapi kini, Sate Kajang tidak sesedap dahulu lagi. Mungkin dahulu, mereka membuat, memasak dan membakar sate secara manual tetapi setelah sate mereka kian popular dan banyak permintaan, kini mereka menggunakan mesin untuk membuat dan membakar sate yang lebih mudah dan cepat. Semenjak itu lidah penulis tidak dapat mengatakan yang Sate Kajang yang diantara yang tersedap dan terbaik. Penulis baharu sahaja mendapat tahu ada sate yang lebih sedap dari Sate Kajang. Kelmarin, penulis ke Ampang Jaya. 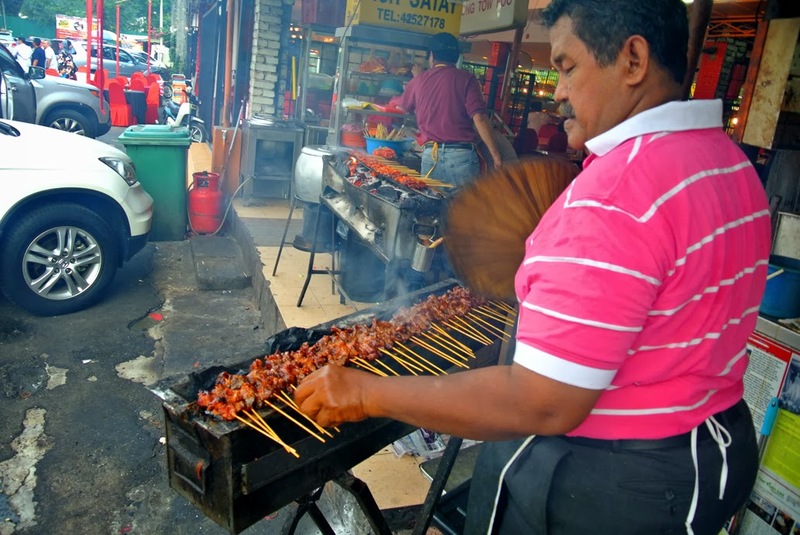 Di sinilah terletaknya gerai sate yang dikatakan di antara yang tersedap di sekitar Ampang Jaya. Zaini Sate ini bukan terletak dalam sebuah restoran mewah, gerai ini cuma berada di medan selera di tepi jalan sahaja. Suasana di Gerai Zaini Satay. 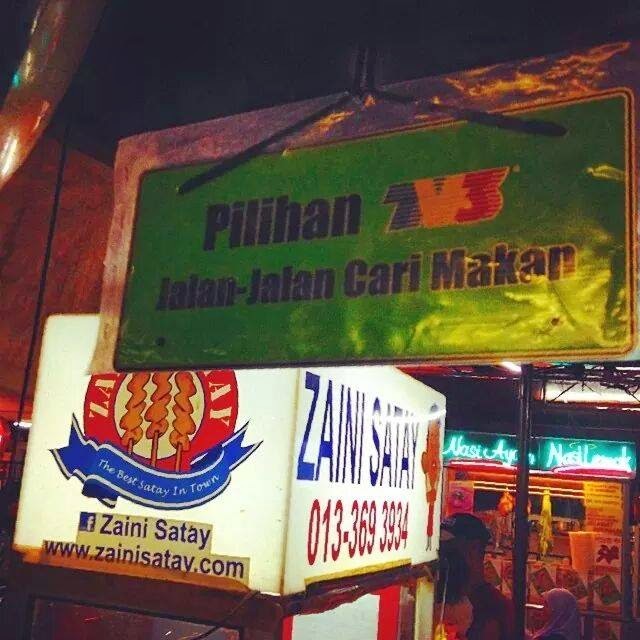 Zaini Sate mungkin tidak sehebat Sate Wak Samuri. Tetapi Zaini Sate ini boleh tahan juga sejarahnya. 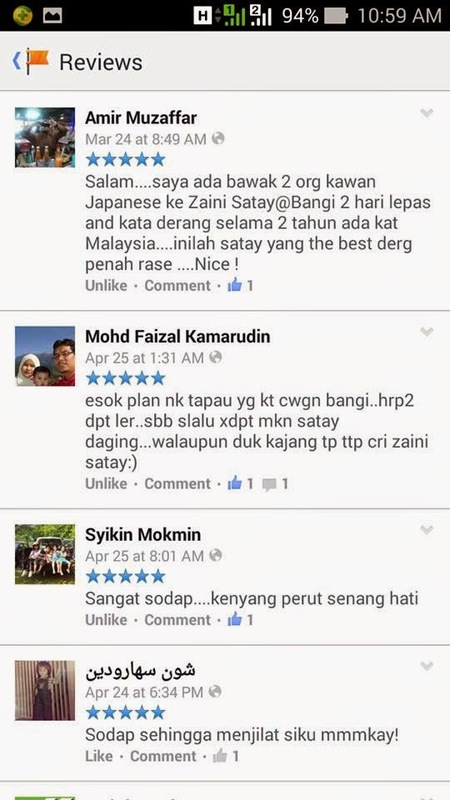 Zaini Sate adalah perniagaan warisan dari arwah datuknya iaitu Majid Satay sejak dari 1960an lagi. 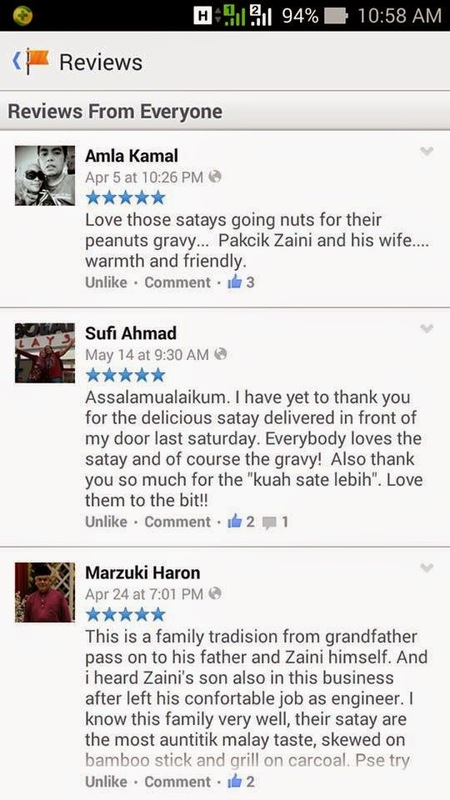 Zaman 60an ke 70an adalah zaman kegemilangan Majid Satay. Cerita ini ada di sebut di dalam buku “Tapai” oleh Hishamudin Rais. Satenya memang tip topt! 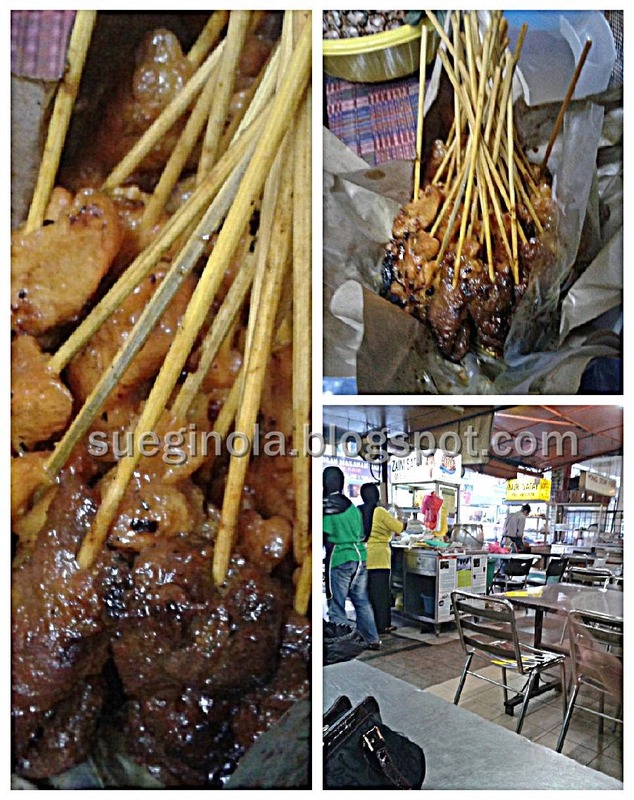 Sate daging memang well marinated, penuh berempah, isinya lembut dan sangat lazat. 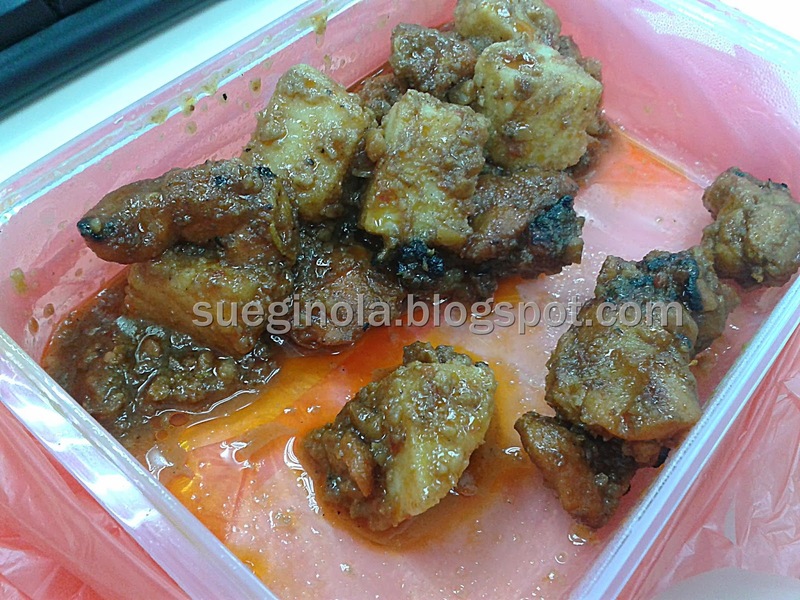 Namun sate ayamnya tidak sesedap daging lembunya, tetapi tetap terbaik. Kedua-duanya diperap cukup lama sehingga isinya menyerap rempahnya. 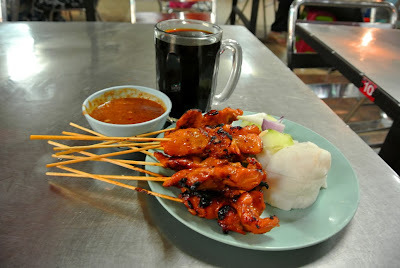 Satay yang terbaik di Ampang. 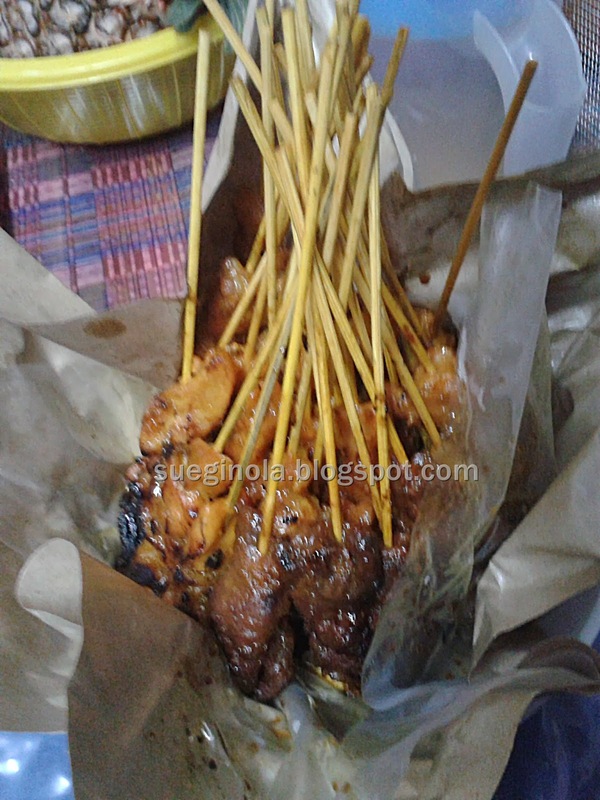 Sate di sini memang sedap jika hendak dibandingkan dengan sate yang dikatakan popular dari Kajang itu. Sate Zaini ini tidak terlalu kering dan kuah kacangnya amatlah segar dan enak. Ok, silalah pergi mencuba sate Zaini ini. Jika tidak sedap jangan marahkan penulis. "Dinner for me tonight is just 10 sticks of Satay itu pun after 7 stick tak larat dah nak sambung. 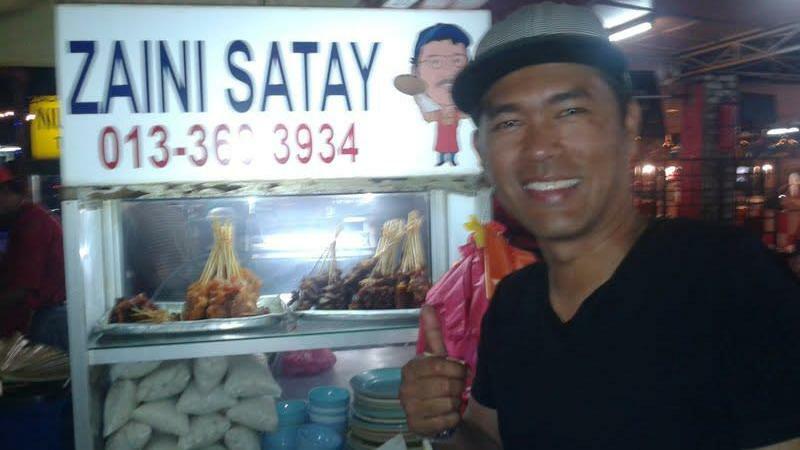 Every few months i would craved for Satay Ayam and asked by driver to just beli di Ampang Jaya Satay Zaini itu sahaja if i have the gerai name correct. Itu la senang bila kita hidup bujang dan tak berkeluarga tak perlu nak fussed around too much about food. I have never been a fan of Satay Daging though sebab masa kecil2 kita tak selalu beli daging sebab mahal dan hidup pun susah.Jika ada pun di potong kecil2 masak kari atau Gulai Lemak Chili Padi ada la.So i can never enjoy a piece of Steak either. 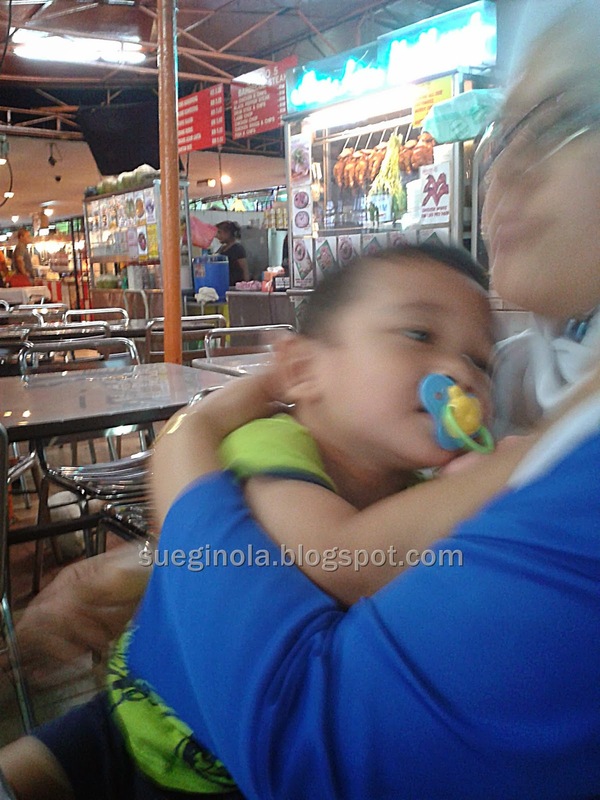 Another dislike is Nasi Bungkus kecuali Nasi Lemak. I just dont like food that is piled up then tuang kuah lepas tu by the time u want to eat is cold and worst soggy. I am not a big fan of kueh2 Manis too as i find them either overly sweet." 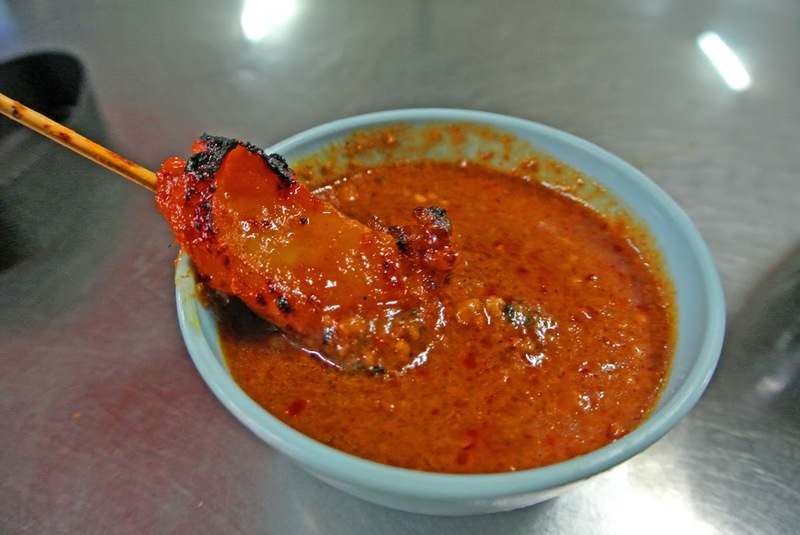 A Malaysian favourite, satay is skewered meat grilled over a charcoal fire and eaten with a spicy peaunt sauce. 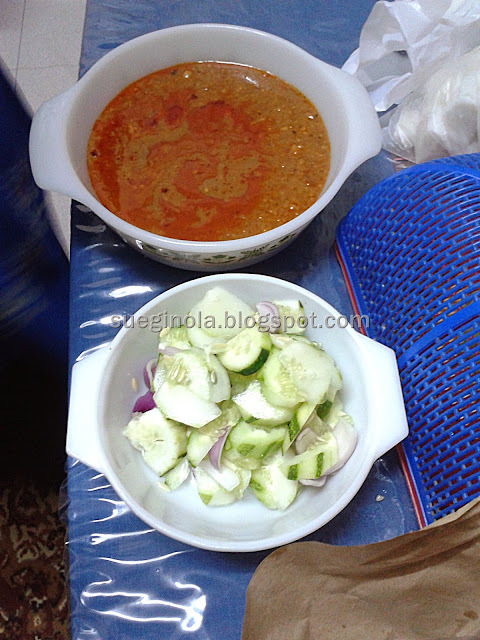 It is served with cucumber, onions and ketupat, a type of rice dumpling. Back in the day, satay sellers would carry their wares in baskets balanced on a kandar (long pole). They would do their rounds, stopping at certain locations to cater regulars. 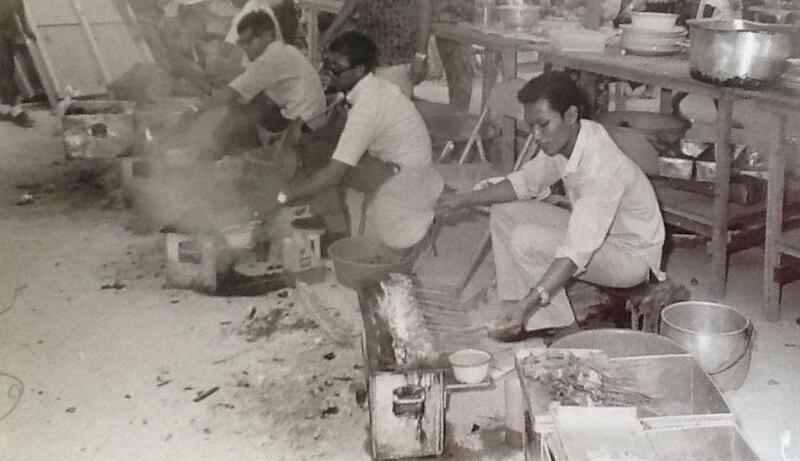 One of them, Majid Satay, was the king of satay on Campbell Road (now Dang Wangi). 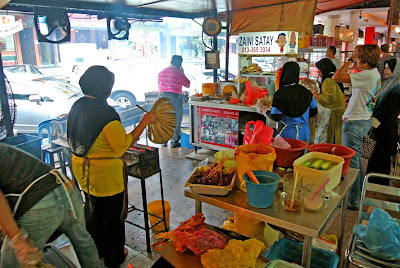 Today his grandchildren are still in the satay business, Zaini Satay being one of them. 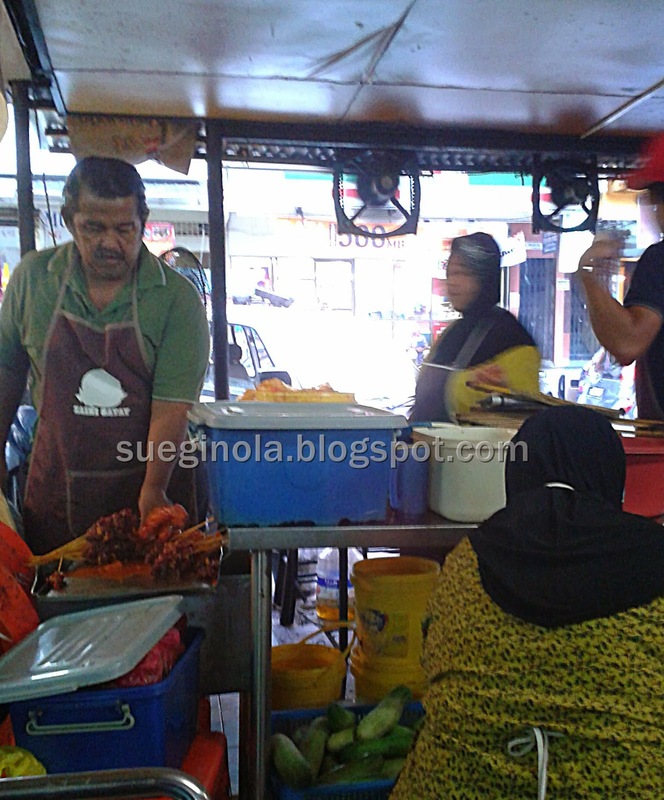 They do brisk business upholding, and stamping their own mark on, Majid's Satay legacy. Their perfectly cooked meats and well-balanced sauce is matched with such cheery service that is it little wonder this neighbourhood joint gets such accolades from punters. Another article from Going Places August 2012. THE first thing you will notice when you are in Ampang Jaya is the presence of not only a growing number of expatriates but also eateries. This township and suburb of Kuala Lumpur is in Selangor, with the oldest neighbourhoods being Ampang New Village, Ampang Town, Ampang Malay Village, Bandar Baru Ampang, Taman Dagang and the Dato' Ahmad Razali Flats. Other major neighbourhoods include Ampang Indah, Ampang Mewah, Ampang Permai, Ampang Jaya, Lembah Jaya, Taman Dagang, Taman Ampang Indah, Kampung Ampang Indah, Taman Dagang Jaya, Taman Cahaya, Taman Cempaka, Taman Kosas, Taman Rasmi Jaya, Taman Bukit Indah, Taman Kesuma, Pandan Jaya and Pandan Indah. But Ampang Jaya is also famous for other attractions. Hidden in the affluent and elite residential area called Taman Tun Abdul Razak (or in short Taman TAR), are two popular attractions. One of them is a 2.5km jogging track which runs along the main road, providing a green lung for residents and a haven for nature lovers. The air is fresh and the lush greenery of this hilly enclave makes it a healthy and conducive place to live in. It was for this reason that I moved here eight years ago, and it is one of the best decisions I've ever made. It is a great spot for serious runners or for those who just want to do some brisk walking. More people can be seen in the evenings or on weekends. It is also a great place for celebrity spotting. Many of them live in Ampang Jaya and use the jogging tracks here. So, you might want to get your camera and autograph book ready. This area which is home to many foreign diplomats and expatriates is an affluent housing estate evident by the number of Bentleys, Ferraris, Hummers and Porsche parked in their porches. Another attraction here is the macaques. Taman TAR has a "wildlife sanctuary" which is on a hilly spot off the main road. There is a large group of playful and friendly macaques. Even then, visitors are cautioned to be careful and not provoke them. There are two species here -- the pig-tailed macaque and the long-tailed macaque. They are quite a joy to watch as these creatures are not shy and are fond of showing off their acrobatic skills when they have an audience. I was told by a resident that previously the macaques foraged the neighbourhood, stealing food from people's dining tables and even opening refrigerators. To solve the problem, the locals decided to contain the macaques in the sanctuary by feeding them on a daily basis. Since then, this sanctuary has had many visitors. Some come to feed them, while others choose to sit inside the comfort of their vehicles and watch the monkeys "in the wild". The monkeys in Taman TAR are a lucky lot as they get lots of good food. Ampang Jaya is also famous as a food haven. The yong tau foo, a Chinese stuffed vegetable soup dish with Hakka origins, is famous here and one of the most popular restaurants here is a restaurant near the Ampang Point shopping complex. This stall can be quite busy during dinner so you might want to make reservations. 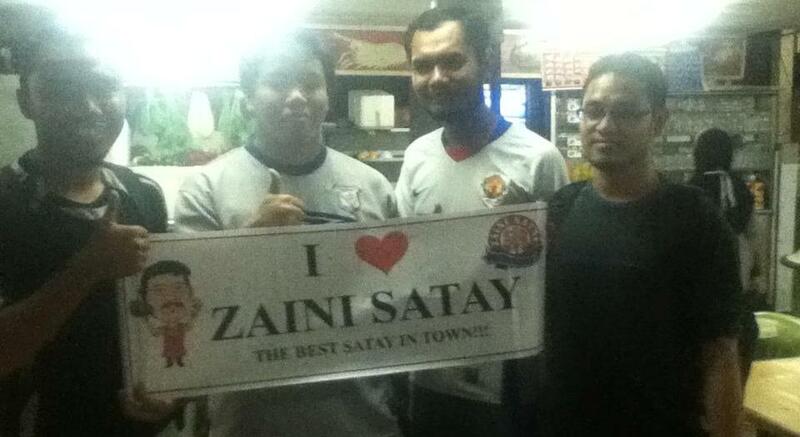 Equally popular is Zaini's Satay stall near the famous Naan Corner in Jalan Kerja Ayer Lama. 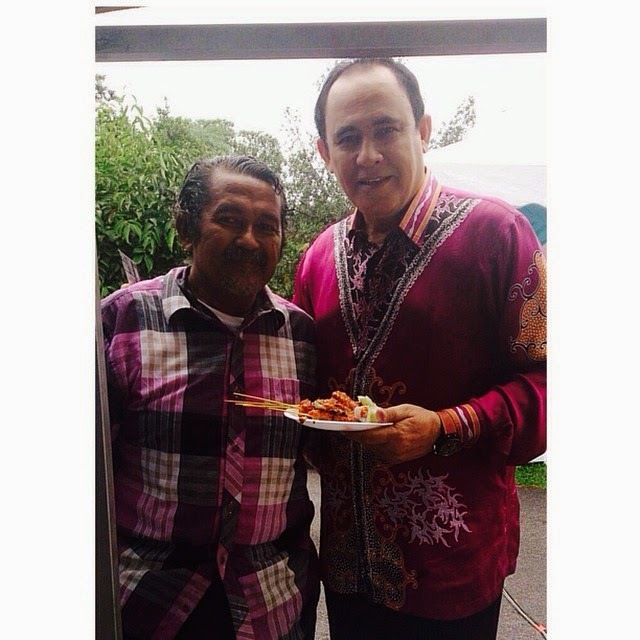 Pakcik Zaini happens to be the grandson of the famous "king of satay" who began Majid Satay years ago. 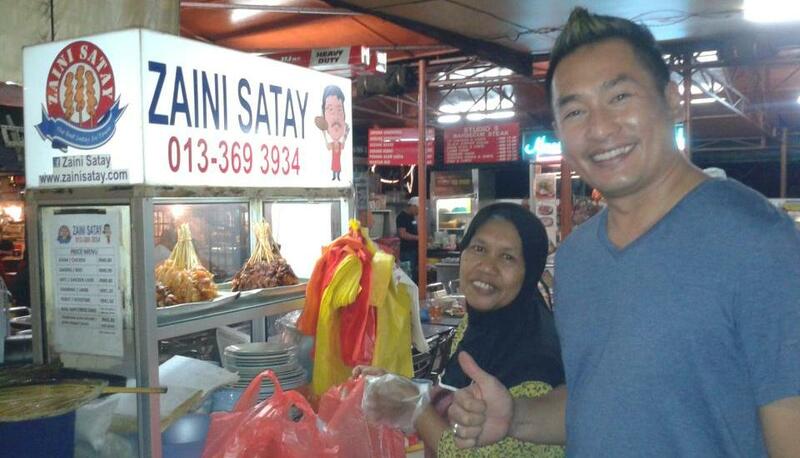 He has been grilling satay for loyal customers for the last 25 years. 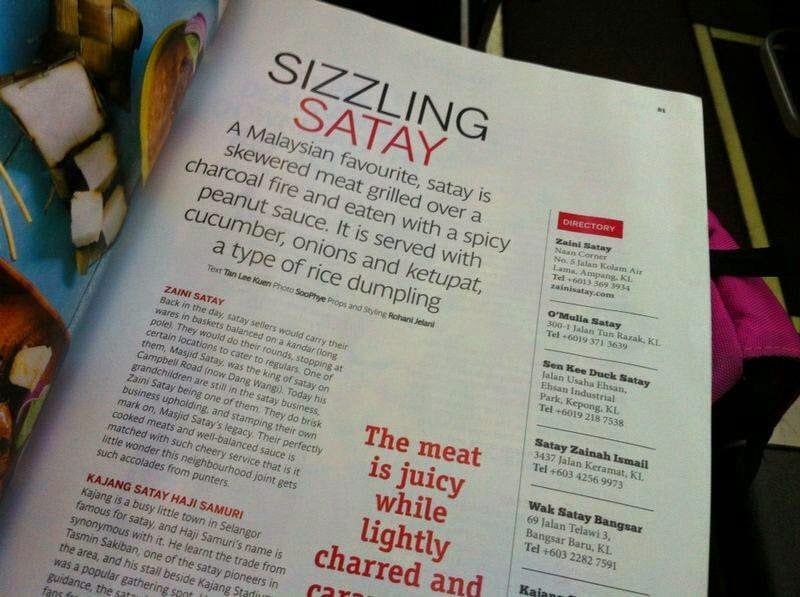 It is the best satay in town, hands down. 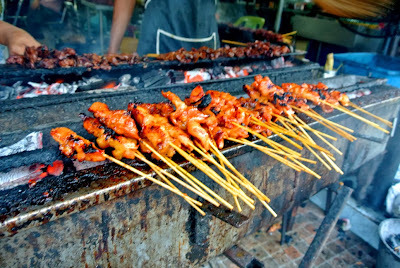 Whether it is chicken, beef, lamb or intestine satay sticks, they are all perfectly cooked, with a nice crispness on the outside and juicy as well as tender inside. The stall is open from 6pm and remains open until the satay sticks are sold out. Again it is best to order early. At the other end of the row of stalls is Mak Jah Cafe. 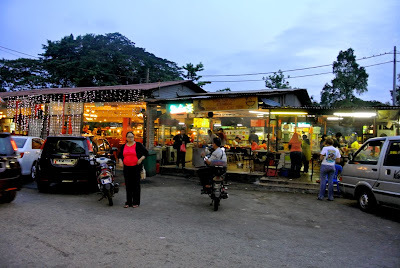 Popular for its traditional Malay kuih, nasi lemak and roti canai, this is one place where you can see the well-to-do as well as the average Joe in the mornings. 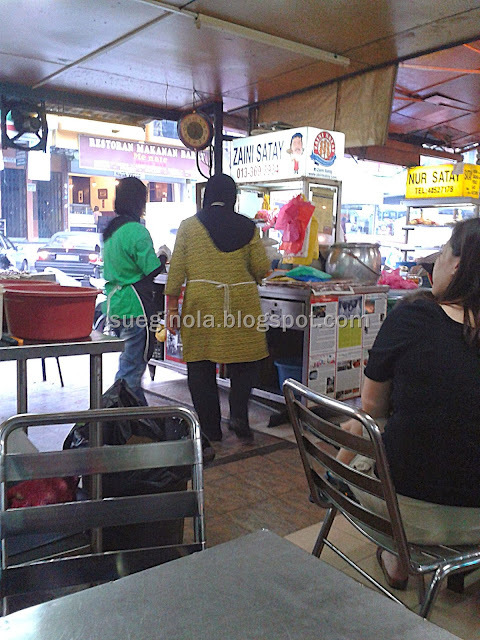 Even hip hop singer Mizz Nina and her husband Hujan frontman Noh, as well as singer/rapper Arabyrd frequent the stall quite often. The prices for the dishes and kuih can be a little pricey for many but, Mak Jah, 71, does not compromise when it comes to taste. That is why the stall, which has been in operation for the last nine years, is always full. 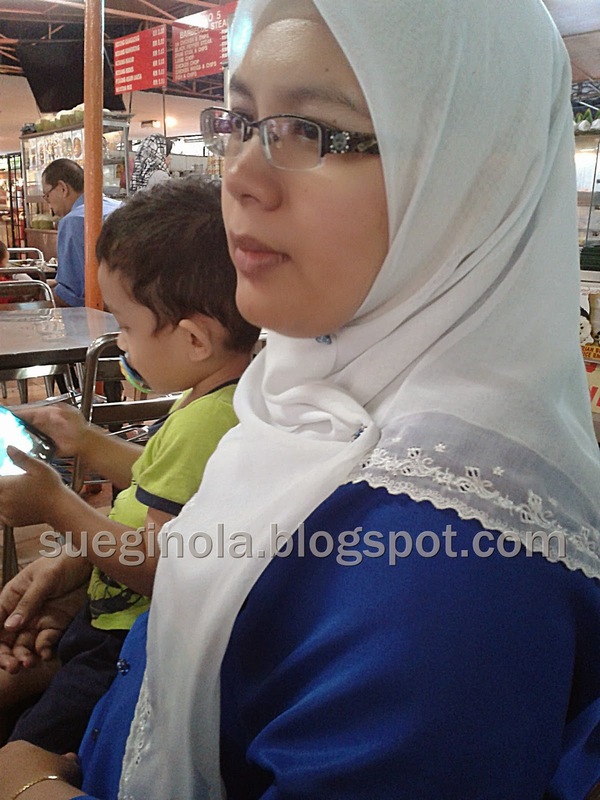 When it comes to shopping, head for the Ampang Point shopping complex. Built in 1993, the six-storey building houses many retail outlets including Giant Supermarket and Popular bookstore. There are also some novelty shops. The locals love to shop here although parking can be a problem. Inspired by TLC’s newest programme, Last Call Food Brawl, we’ve come up with our very own late night food guide of the very best of Klang Valley. Wong Ah Wah Chicken Wings @ Jalan AlorNothing goes down as well after a night out than some sizzling hot, crispy, sticky wings from Wong Ah Wah. Marinated and grilled to perfection, the stall’s been a mainstay favourite for many KL-ites. They’re greasy and messy but they’re arguably one of the tastiest burgers in the city. You can’t miss this mind-blowing burger stall – its right outside a 7-Eleven, the same spot it’s been for the last 25 years. There’s always a debate going around where the best roti canai is, and Valentine Roti with its light and crispy flat breads just might be the best. 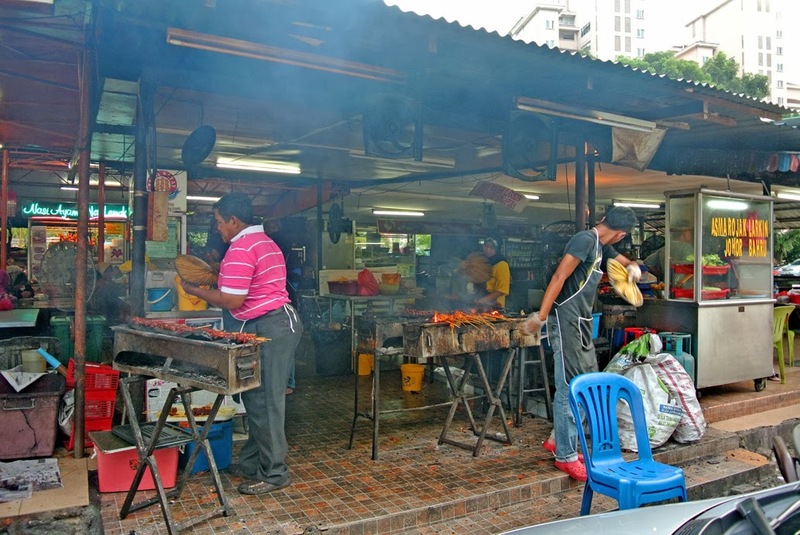 The no-frills stall has been in operation for over 20 years at its location right opposite the Wisma Celcom on Jalan Semarak. Famous for its fusion western dishes, the outlet in Taman Mayang Kelana Jaya (where the old Lim Kok Wing University used to be) is a fan-favourite for PJ residents. Their late night menu carries such items such as Nasi Goreng Soft Shell Crab, Seafood Marinara and Cheese Naan. 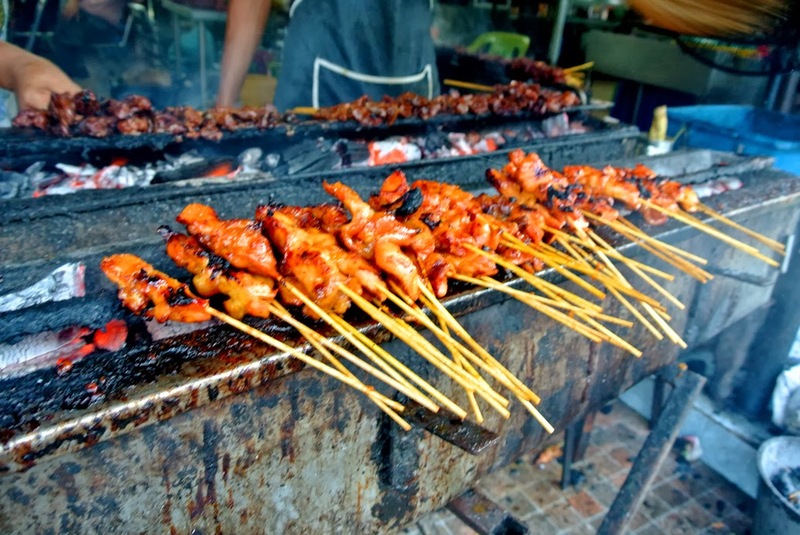 Satay is a mainstay favourite amongst Malaysians and this stall has been dishing out tasty morsels of marinated grilled meats on a stick for over three decades. 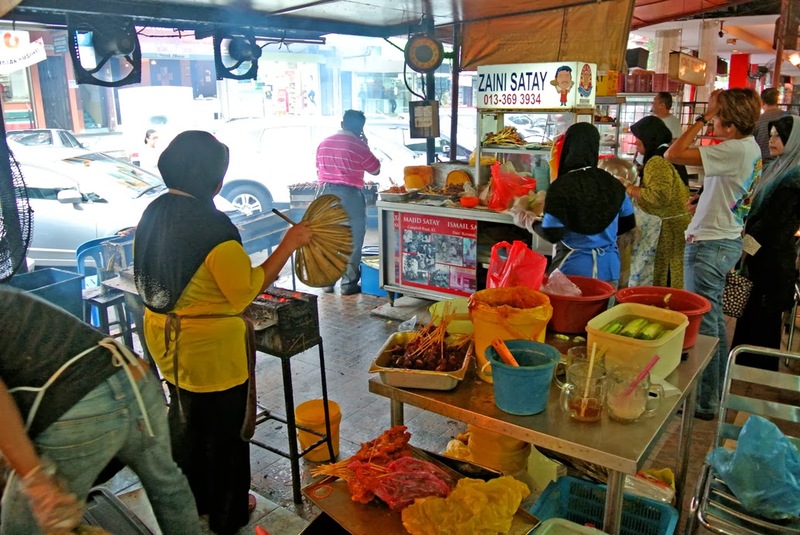 Apart from the standard chicken and beef fare, the stall also offers ‘acquired-tasting’ satays such as chicken liver and perut babat (intestines).